﻿ Crowne Plaza Chicago O'Hare Hotel & Conference Center, Chicago (IL) | FROM $99 - SAVE ON AGODA! 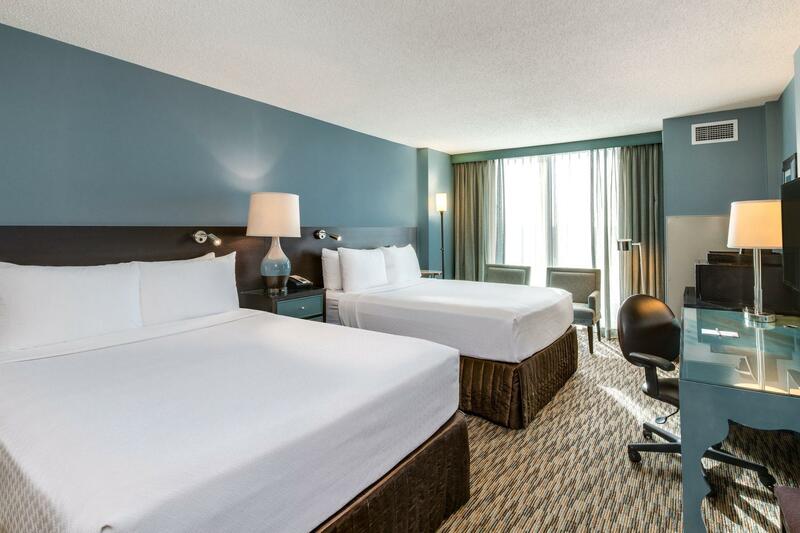 "Wonderful restaurants and extremely comfortable"
"Hotel is within walking distance to the Rosemont Theater and Fashion Outlet mall"
"Crowne Plaza is an excellent choice to stay." Directly across from the Stephens Convention Center and minutes from O’Hare International Airport, this Rosemont hotel offers a 24-hour business centre and 55,000 sq ft of business meeting space. 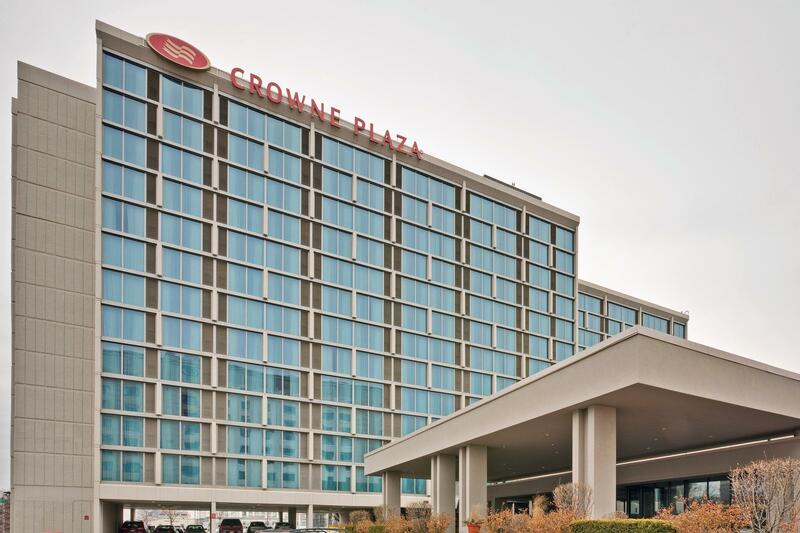 A flat-screen LCD HDTV, desk and laptop safe are included in every room at Crowne Plaza Chicago O’Hare Hotel & Conference Center. 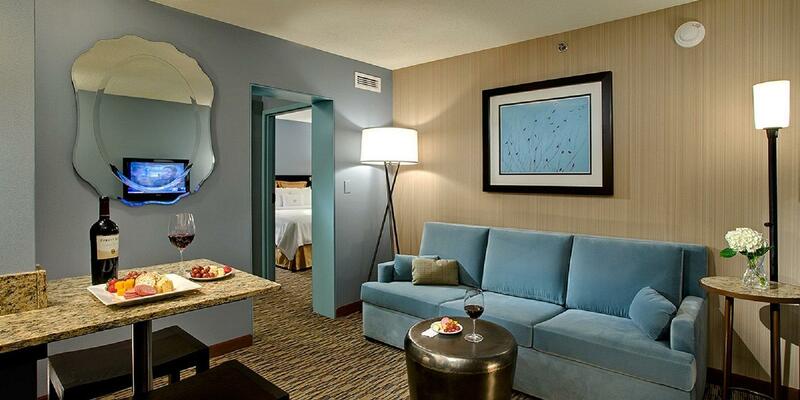 Each room also has noise-reducing glass and eco-friendly amenities. The hotel offers an array of on-site dining options, including Chicago Fire Oven and On the Fly, both serving breakfast, lunch, dinner and dessert. Visibility Bar is located on-site and offers a relaxing setting where guests can enjoy a beer or cocktail while watching a game. Guests can swim at the indoor pool or get in a workout at the fitness centre, both located on-site. There is also a gift shop and laundry services available at the hotel. Allstate Arena is a 9-mile drive away. The Rosemont Theatre is a 3-minute walk away from the hotel. Upon check-in photo identification and credit card are required. All special requests are subject to availability upon check-in. Special requests cannot be guaranteed and may incur additional charges. Guests under the age of 21 can only check in with a parent or official guardian. Please note that the breakfast policy is based on 2 guests. All further guests will incur additional charges (see hotel policies). Please be advised the pool will be closed from November 28th until December 7th, 2016. Contact hotel for details. Guests are required to show a photo identification and credit card upon check-in. Please note that all Special Requests are subject to availability and additional charges may apply. Hotel provides airport shuttle service. Did an overnighter - arrived late night and checked-out early the next morning. Traffic is horrendous during peak hours in Chicago especially mornings. Although O'Hare airport seems to be close by and what usually is a 20 - 30 mins ride, the journey can be 45 mins to 1 hour and more to reach the airport. Hotel Steak is so good! price, cleanliness, facilities is not bad. and the location is nice. We like to go to Rosemont, only an hour away. There is plenty to do as far as entertainment. Something foe everyone. 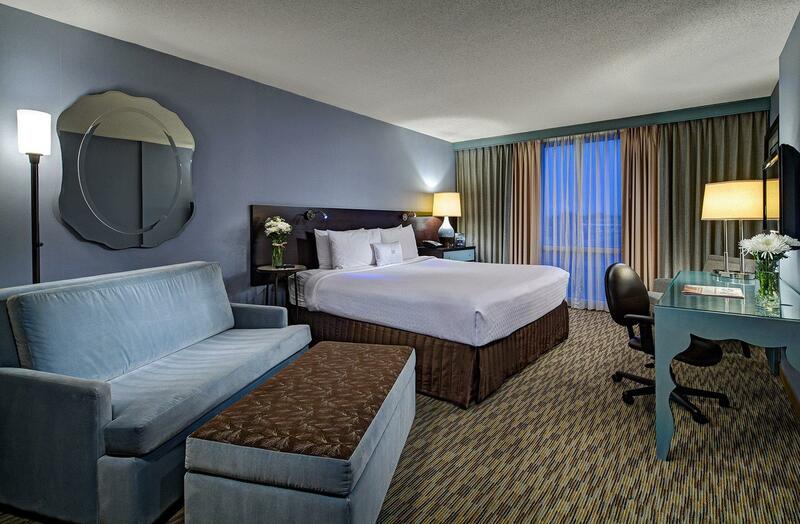 Crowne Plaza is an excellent choice to stay. If I had to complain, the only thing was they had a beautiful pool and gym, but no hot tub, gotta have a hot tub, other than that< we will be back. Very close to the outlet. Very close to airport. Very close to subway. My stay was great because the staff went above and beyond to make up for the hotel's change from Executive Club Lounge access to adding more conference rooms which was a real bummer and truly one of the only reasons I stayed there in the first place. I enjoyed myself entirely. We had a layover after a long flight from Japan. The shuttle was on time and plesant and the staff was superb all around. We ordered in room service and the food was pricy but amazing which for me is okay. I will stay here again for layovers. The only problem for me was the $12.95 wifi fee per device!! Ouch!! the shuttle bus was punctual. the front staff was nice & acceded to my request to change room, promptly. the room is nice & clean. overall, the stay was pleasant. will definitely stay here again if i'm on transit via chicago. the walk to the train station is a bit far, but by taking the shuttle to airport, it's more systematic & safer. we need to go convention center,the hotel is very near there,we can walk to there .perfectly!